Friday already, how the week just flies by. 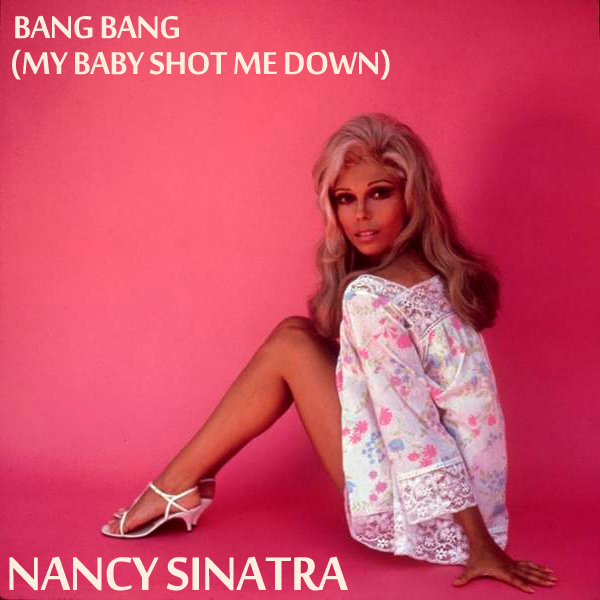 And here we are with another remix from this week's special guest, Nancy Sinatra, none other than Bang Bang (My Baby Shot Me Down). On the original cover of the song, we find Ms Sinatra sitting down on the floor. Could it be that she has already been shot down, or is it more bang bang? Either way, the remix shows a more likely bang bang situation, and if they are not careful their baby will shoot them down. Table!